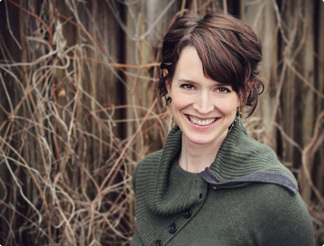 Juli Johns is the founder of Freshwater Creative, established in 2006. She oversees the creative strategy for every client project. Juli has nineteen years experience as a professional graphic and web designer. She graduated with a BFA in Visual Communications from the Alberta College of Art and Design in Calgary, AB in 1999. While living in Vancouver, she worked at a web agency and was the lead in-house designer at a software company. Companies such as YOU FIRST Financial, ArtistWorks, and Epic Data are a few of many clients Juli works with. They range from non-profit companies, start-up companies and small businesses to national and worldwide corporations. Juli’s creative talents include web design, print design and illustration. In her free time Juli loves music, cycling, swimming and exploring nature with her nine year old son.